This one’s not for the faint of heart, people. Masters of making you squirm, Clipping have teamed up with director Anna Zlokovic for the disturbing new “Back Up” video [feat. Antwon and Signor Benedick the Moor], a highlight from the group’s Wriggle EP. 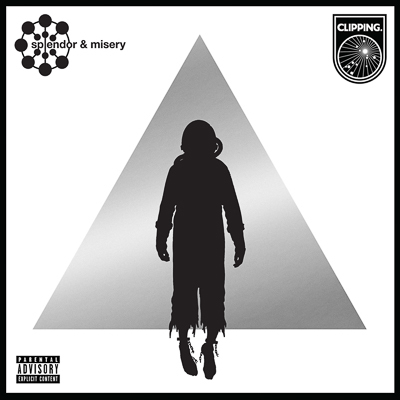 The “Back Up” video marks another collaboration between Anna, Aporkalypse and Clipping’s members (most specifically, Jonathan Snipes recently contributed sound design for the film, Shorty). Additionally, Zlokovic’s films (based in the psychological sci-fi, psychological horror, body horror genre) and music videos have screened internationally at festivals including SXSW, Santa Barbara Int’l Film Festival, and Fantasia Int’l Film Festival. Her perspective often finds itself joining the cerebral and humanistic, hanging out in a realm where a more fantastical reality meets the mundane. “Back Up” was also filmed at The Smell––an all-ages DIY music venue in Los Angeles. The Smell has remained a pillar of the LA underground music scene since its founding in the 90’s and is now set for demolition––which has incited a bevy of support for the venue amongst LA musicians/fans. 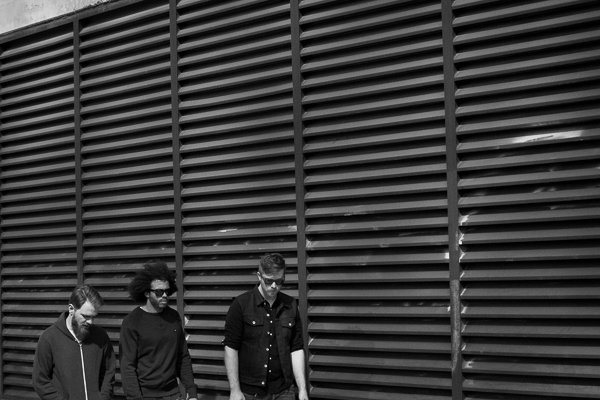 Clipping has played at the The Smell many times & has a long-standing relationship with co-founder Jim Smith. It seemed like a particularly apt place to film––both for aesthetic and sentimental purposes, and in service of the current #savethesmell campaign. Clipping’s previously announced 2017 North American headline and support dates begin February 17th in Santa Ana, CA at The Observatory runs through April 4th in St. Petersburg, FL at Jannus Live. Highlights for the tour include headline shows (February 17th-24th; March 10th, March 16th, April 3rd), appearances at the Noise Pop Festival (February 24th-25th) and a direct support run opening for the Flaming Lips (March 3rd-14th; March 29th-April 4th). Tour dates are below. Splendor & Misery is available on CD/LP/DL/CASS worldwide from Sub Pop right over here and Deathbomb Arc here. The album features the highlights “Baby Don’t Sleep,” “A Better Place,” and “Air ‘Em Out,” was produced by the band, and mixed by Steve Kaplan in Los Angeles. The Wriggle EP is also available from Sub Pop, here. Starring the bodies of: Daveed Diggs, Antwon, Signor Benedick the Moor, Andrew Varenhorst, Dani Goffstein, Evita Castine, Patrick Robert Young, Evanne Friedmann, Yazmin Watkins, Nadine L. Robinson, Daniel Crook, Jared Michael Degado, Ivo Buhles, Genevieve Munroe, Peter Kalisch, Devin Cheney, & Carter Ross. Special thanks to all the baby parents & chaperones: Jill Fogel, Karla Garcia, Amyre Rachal-Carter, Adriana Benvenuto, Emily Rubio, Natasha Oiye, Dorian Gray, Ena Fleming, Afton Adams, & Leslie Adams. A very special thanks to: Jim Smith & Michael Fierstein of The Smell, Jack Kovacs and Ember the cat, Theo Pappas at Santa Monica Video, Youth Talent Connection, Sasha Venn, Jules Bruff, Sage Lewis, Spitz, The Blue Cube, Co-Opportunity Market + Deli, & Jeremy McLennan.